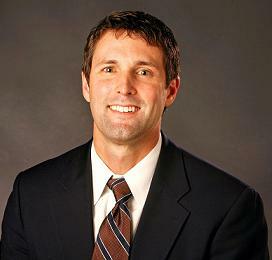 Dr. Geier is an orthopaedic surgeon and sports medicine specialist in Charleston, South Carolina. He also serves as chairman of the Public Relations Committee for the American Orthopaedic Society for Sports Medicine. Orthopaedic surgeons have debated the merits of surgery for first-time shoulder dislocations. Nonoperative treatment emphasizing short-term immobilization and physical therapy was the mainstay of treatment for decades. Studies showing a high rate of recurrent dislocations with that approach led to more surgeons adopting earlier surgical treatment. Some research shows lower rates of repeat dislocations after surgery for a first dislocation. A study presented recently at the American Orthopaedic Society for Sports Medicine’s Annual Meeting in Chicago shows that treatment costs might favor early surgery as well. Ryan P. Donegan, MD, MS and colleagues used a decision-analytic model to determine cost-effectiveness of surgical treatment and nonoperative treatment. They factored in probabilities of recurrent dislocations with each option based on current scientific literature. They calculated treatment costs based on adjusted Medicare reimbursement rates. According to this model, they argue that surgical stabilization is more cost-effective than non-operative treatment with physical therapy. Specifically, they estimate that the cost of the surgery would have to increase to over $24,000, the probability of recurrent dislocation would have to increase to over 7% after surgery, or rates of recurrent dislocation without surgery would have to drop below 11% (currently thought to be about 17%). Dr. Donegan concludes, “Shoulder dislocations are one of the most common orthopaedic issues today, and our research shows that – after weighing all the options – surgery can be both helpful to the recovery process and cost-effective." While surgeons do not usually use treatment costs as the means of choosing a treatment plan, it is an important consideration. With healthcare costs increasing rapidly, pressures to choose the most economical options for an illness or injury might become more common. Cost should never be the sole consideration. Decisions for young athletes who suffer a shoulder dislocation for the first time should be based on factors such as age, sport, associated structural damage, risk of recurrent dislocation, quality of life and possibility of degenerative changes in the shoulder in the future. As sports medicine surgeons have become more comfortable with arthroscopic treatment, and outcomes continue to improve, these operations seem to be performed more frequently than ever. From a healthcare cost standpoint, that might be a positive trend.